Should I Use My Realtor’s Home Inspector? Almost all purchase contracts contain a contingency for a home inspection and they should. Some contract contingency clauses are marginal. The home inspection contingency is not one of those. In a multiple offer situation – common in our current market – some contingencies may be deleted to make your contract more attractive. The home inspection needs to stay. It may be appropriate to put in a clause that you will not negotiate for repairs and make voiding the contract your only option if the inspection is disappointing. So that leads to the question of how to pick an inspector. There are books and articles on purchasing real estate that strongly suggest you should never use the home inspector suggested by the buyer agent. The rationale is that since inspectors depend on Realtor referrals, they will not “kill a deal” and downplay major issues. The buyer is a one time interaction while the Realtor represents dozens of deals in the future. Who is that inspector really working for? A good, logical argument but I strongly disagree. Your Realtor is a relationship Realtor and not a transactional Realtor. What I mean by transactional is that there are some Realtors who chase the numbers.. They are concerned with how many transactions they can complete or whether they are #1 in some market segment. Many of these are fine Realtors. But some have so many lead streams, they do not need your referral and they do not have the time to start the search all over again if the home inspection fails. If you are feeling rushed by your agent, don’t use their inspector. Like people work with like people. My business is based on referrals – over 80% of my business comes from past clients and referrals. One of the quickest ways to stop that stream of referrals is to have someone move into a home and find out the condition of the home is worse than they expected. To keep those referrals coming, I need to make sure my buyers have a positive buying experience including an honest inspection. The inspectors I recommend conduct a thorough inspection and, consistent with my business philosophy, take substantial time to educate the buyer on the workings of the home. A good inspection has a dual purpose. The inspector needs to uncover any problems in the property but also needs to make sure the buyer knows what will be required to keep the home in good condition. Now, this is not to say that a buyer will never find a problem that was not in the inspection report. It has happened in the past with inspectors recommended by me and I am sure it will happen again. 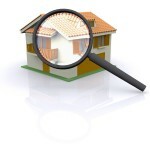 The inspector is, in essence, taking a snapshot of the home on a date that is usually 30 to 60 days before settlement. Conditions can change in that period. Perhaps on the day of the inspection and later, the walk thru, certain weather conditions were not present. When this happens to my buyers, I am quite concerned. If I were to get several such reports after using a specific inspector, that inspector would no longer be on the recommended list. Believe me, the worst problem in this business is an after settlement issue. Our standard contract contains a clause that the home is sold “as is” as of a certain date. 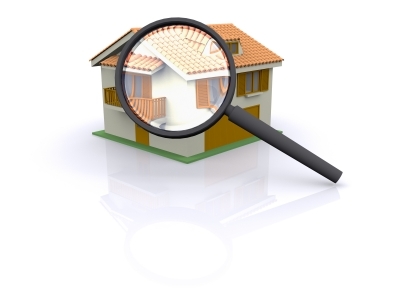 Selecting the date of the home inspection is the frequently selected. And, really, how else are you going to really know the condition on a certain date? A settlement argument that the condition changed since you viewed the property will not hold as much weight as presenting a report that states on such and such a date these things that are now broken were working at the inspection. Thus, a detailed report is critical. Randomly selecting an inspector could be quite costly. It is best to go on a referral from a friend, relative or colleague or go with one that the Realtor recommends. What have been your home inspection experiences?